& Over 3000 Inspections To Date! I’m home inspector John Galop, owner and operator of Galop Home Concepts, and my goal is to provide the home inspection you can count on to help you make clear and confident decisions for your home. I have 15 years of experience in the general contracting and home renovation industry and enjoy being able to give my customers a valuable, personalized assessment of their homes. I want you to get the most out of your home inspection and feel comfortable in knowing how to proceed from my findings. With over 3,000 successful inspections to date, I am proud to provide inspections for North and South Carolina clients from all walks of life, whether this is your first home or you are a seasoned Realtor. From historic residences to manufactured homes, I am experienced in with the unique features of all types of construction. 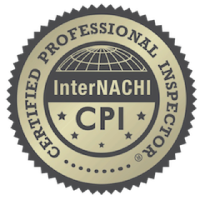 I’m a Certified Professional Inspector through the world’s largest trade inspection organization, the International Association for Certified Home Inspectors (InterNACHI), and I conduct each inspection with the highest level of proficiency found in their unsurpassed Standards of Practice. 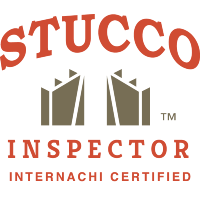 I also perform inspections according to standard inspection policies and requirements for both North Carolina and South Carolina. See how Galop Home Concepts can meet your varied inspection needs. When I’m not providing professional home inspections, I enjoy other opportunities afforded through the building trade, like renovations and seeing home rehabilitation projects to full fruition.